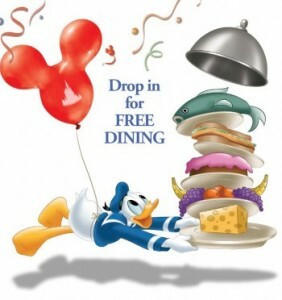 In what can be described as a surprise New Year’s move, Disney has announced Free Dining for 2019 – with dates from July 5 through September 30. Not only is the announcement earlier than normal, but the dates stop before the fall opening of Star Wars: Galaxy’s Edge – and the crowds expected for the new land. The minimum stay for this year’s Free Dining is four nights, and the package must include the Park Hopper or Park Hopper Plus tickets. See the full list of participating restaurants here. The Free Dining offer excludes: 3-bedroom villas, campsites, Cabins at Copper Creek Villas & Cabins at Disney’s Wilderness Lodge, Bungalows at Polynesian Villas & Bungalows, Little Mermaid Standard Rooms at Disney’s Art of Animation Resort.